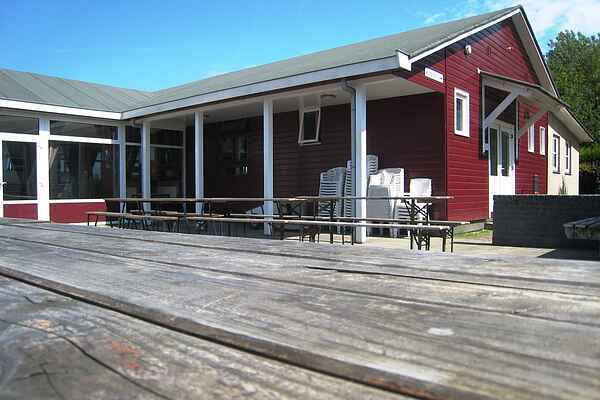 This group accommodation at Recreation Park Klaverweide offers space for no less than 70 people. The detached, ground floor house is of course furnished to accommodate this large number. This is expressed in, among other things, the large and fully equipped kitchen, the practical sanitary facilities and the many bedrooms. The dining area even has an actual stage. Sitting outside together also doesn’t pose a problem on the specious terrace with garden furniture.